Cultural heritage of Croatia has once again astonished the world. UNESCO, after the last year's seven elements, has put another three phenomena on its List of Intangible Cultural Heritage – the Sinjska alka (a knights' tournament), gingerbread craft and ojkanje singing. 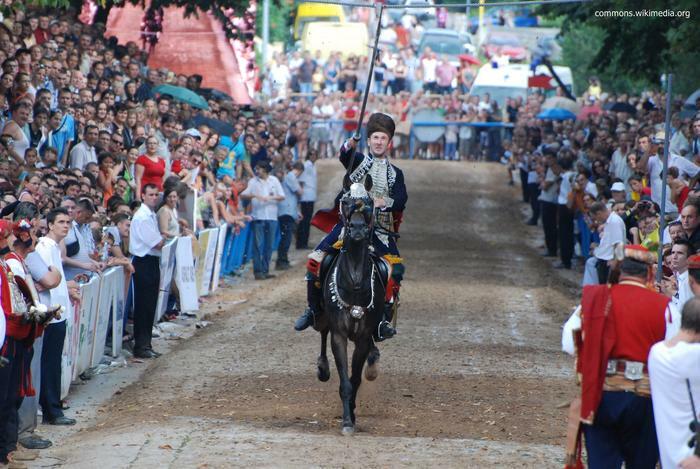 Alka is a popular knights' tournament held in honour of the victory against Turks in 18th century. Men dressed in folk clothes ride horses at full gallop aiming lances at an iron ring hanging on a rope, with crowds cheering. Traditional souvenir of central Croatia, the gingerbread heart is made of dough with honey and it is richly decorated , and in the past it was a symbol of a young man's deep affection for a girl. Ojkanje is a traditional way of singing which Croatian culture inherited from the previous inhabitants in this area. It is described as a distinctive singing of a melody while the singer “can hold his or her breath“.